When placing a deposit on a particular puppy please insert the name we have for that puppy. It’s our way of discerning which puppy is being reserved, and it will avoid confusion on our part. When placing your deposit please include the best phone number to reach you, if the need arises. If “Ready Now” is showing next to a puppys’ available status, she is old enough to join your family. Please choose your puppy very carefully, and bear in mind that you understand the $100 deposit is a commitment , by you, to add that particular puppy to your family, is non-refundable, or transferrable, unless something unforeseen should happen to the puppy you choose. If that should be the case you will be offered the option of a different puppy, or the return of your deposit. Your deposit will be deducted from the cost of your new puppy at the time of pick up. We only accept cash for the balance at the time of pick up. We do not accept checks. By clicking the “Buy Now” button to place your deposit, you agree that you have read, understand, and agree to abide by all of our policies on this page. Before you ask to come visit the babies before you reserve a puppy with a deposit, we do not allow viisitors in for disease prevention purposes. Diseases, especially canine parvovirus, can be brought in on clothing, shoes etc. Parvo can be deadly to young puppies that have not yet been vaccinated. This is no way a reflection on someones cleanliness, but disease knows no boundaries. The safety of our puppies comes first and foremost above anything else.After all, the puppy that you want to visit has to go back to his/her brothers/sisters, and Mother possibly exposed thereby exposing everyone. Thank you in advance for understanding, and respecting our policy. If you, a family member or friend, are unable to pick up your new puppy within a day or two either way of her ready date due to a prior commitment such as, vacation, holiday weekend, etc. , we will keep your puppy here for up to, but not over 2 weeks, for a $10 per day fee. A $25 fee may be added to cover any vaccinations that may come due, if applicable. Your puppy must be paid in full by the ready date, with boarding fees due at the time of pick up or transport by a service of your choice. Our puppies are CKC registered, have their dew claws removed, pre-spoiled, and come with a written health guarantee. For only $30.00, if you like, we can microchip your new puppy for permanent identification before you pick her up . We use the very same Avid microchip most veterinarians use. If your pet is ever lost or stolen you have a very effective means of recovery for the life of your new pet. Just tell us when you place your deposit that you would like to have your new puppy micro-chipped before you pick her up, and she will be ready and waiting. To see pictures of a puppys’ parents click the link to their picture under the Dads weight. Also, we put the parents prime weight in the description. The parents weight in no way guarantees a particular puppy will stay within those limits. Some are going to weigh less, some are going to weigh more. The weights are there for informational purposes only. Continue scrolling down the page to see all the new arrival puppies that are not yet ready to leave their mommy but will be available soon!! Please read and familiarize yourself with our policies above before you place a deposit on a puppy of your choosing. .We have an active waiting list. 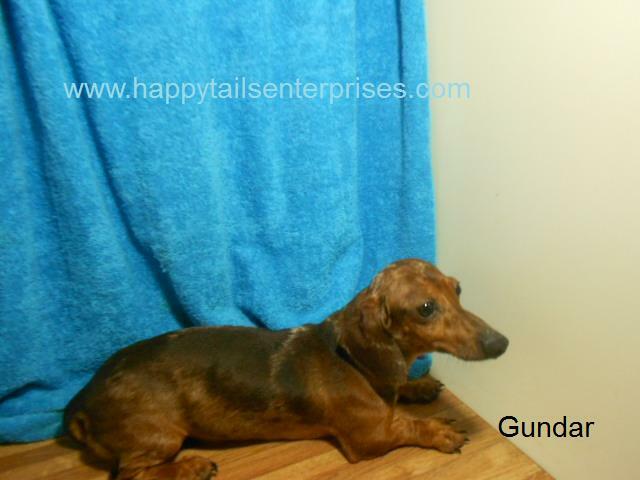 We also have all 3 coat types, smooth, long coat, and wirehair. If you would like your name to be added to our waiting list, and want to be notified when new arrivals are here, you can do so with a $100 deposit. If we send pictures with YTBD, (yet to be determined), that means one parent is either a long coat, or wirehair, and we are not able to tell at that time which coat type a litter will be.You are welcome to choose a puppy from that litter, but we can’t hold back puppies until we know for sure. If we know that a particular litter will be smooth coat, we will let you know at the time we send out pictures. In the “add puppy’s name” box put upcoming, the color, coat type, or pattern, that you would like to have. For individuals on our waiting list, we notify you in the order deposits are received by email, and send pictures of the available puppies from which you can choose before we add the babies to our website. We allow a 24 hour window for you to respond, and choose your puppy. If we don’t hear back from you in that time frame we move on to the next on the list. You won’t lose your deposit, only a bypass on our list. When placing your deposit please include the best phone number to reach you, if the need arises. Check out our new Puppy Starter Pack. It features a roomy 24"x 17"x 20" Heavy Gauge Suitcase style crate that is available in Hot Pink, as pictured, Blue Splash or Black, either crate folds down,and will fit your puppy throughout her entire life, a cozy bed for napping, a ceramic food dish, an 8 lb. bag of Diamond Naturals Small Breed Puppy Formula, a 16 oz. water bottle, a travel water bottle, a Dog bone cleanup kit with 120 refills, an adjustable collar, a 4' leash, and a complimentary Avid Microchip ($30.00 value) for permanent identification of your new family member. This entire package is available with options of placing your deposit along with the purchase of either of the items below in one easy step. Of course, you may still place a deposit on the puppy only by clicking the pay now button next to any available puppy picture. When you purchase either of the items below it will be reserved, and ready for you when you pick up your new puppy.